Late last month we reported that Snap Inc. was working on a new ‘Stories Everywhere’ feature which would allow users to share Snapchat Stories on other apps and on the web. Now, according to a press release from the company, the new feature has started rolling out to Snapchat users in Australia and Canada, with other regions to follow along with the Snapchat redesign over the next few weeks. The feature will be available for Snapchat users on both iOS and Android. The new feature allows users to hold down on a tile on any public Story and share it with anyone via a text, email, or even through other social media platforms. However, the feature will be limited to ‘Public Stories’, which includes Stories created by Snapchat’s verified users, Stories featured in the curated Our Stories section, and Stories discovered through search. With the new feature, Snap Inc. aims to extend Snapchat’s content to other platforms in a bid to attract more users to the app. 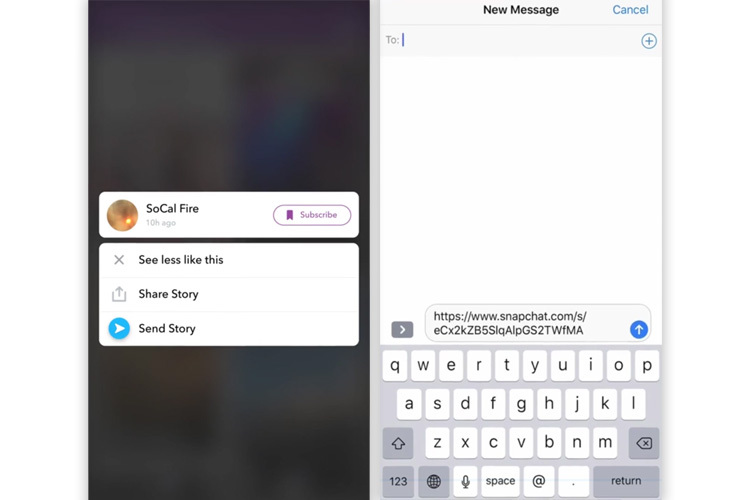 Recipients of the shared link will be able to view the Stories on the new Story player on Snapchat.com. The shared Stories will also have a expiry date depending on the source of the Story. Stories shared from the Our Stories section or those discovered from search will be available outside of Snapchat for a period of 30 days. Stories created by Snapchat verified accounts, on the other hand, will be available for 24 hours.